WebRTC is the future of communications - don't get left behind! 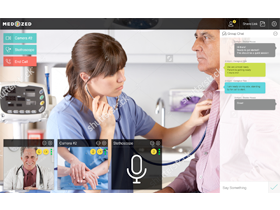 WebRTC.ventures builds and licenses custom video and voice applications for telehealth, online education, broadcasting, and more! The healthcare industry has its own unique set of needs for communications applications, and we are experts in building secure and HIPAA compliant video applications for medical providers. We have a telehealth starter kit that already includes the most common features our clients need, and which can be licensed, customized, and rebranded for your unique medical or mental health practice. We'll build your user-friendly, HIPAA-compliant communication apps -- designed with the patient and your clinic in mind! Every strong communication tool must consider web and mobile applications -- for both iOS and Android devices. WebRTC brings encrypted video chat, audio processing, text chat, screen sharing, and mobile support together to work for all users. 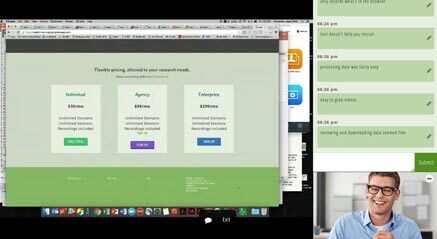 Regardless of device, WebRTC smoothly transitions from browser use to mobile use to amplify your engagement. 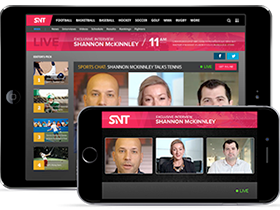 Live streaming is central to event broadcasting and creating a genuinely interactive experience for viewers and customers. We have worked closely with Tokbox on their Interactive Broadcasting Solution and we can customize it for your specific use case! Deploy the highest-quality online broadcasting application so you can maximize your audience reach. Face to face. No matter the place. Your banking application can allow a customer to contact support -- and share screens and video -- directly from the page they're browsing. The technology eliminates the identification process, simplifying everything for both you and the customer. You can integrate video with your telephony system, call centers, mobile apps, and more for direct communication. How does WebRTC work for healthcare? Building a functional real-time and HIPAA-compliant application doesn't have to be complicated. Learn more about how we prioritize security, and the key elements to blazing the WebRTC trail in healthcare. Wellbeing was looking for a medical app with private, encrypted video chats, billing and credit card processing. 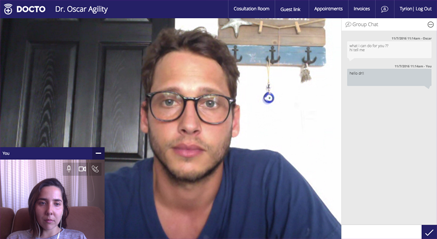 We used TokBox to create a secure video chat application that connects counselors and their patients. Wellbeing is one of the first telehealth apps for the Australian market. There is nothing more humbling than seeing how users actually try to use your application! Usabili.me allows product researchers to connect with their customers via screensharing, video conferencing, synchronized note taking and recording. We worked directly with ToxBox to create Spotlight: a live streaming tool for hosts to stream video chats to a large audience of live viewers. Spotlight enables Q&A with viewers coordinated by the "backstage" producer area, and audience participation via third video streams. It is now actively in use by TV networks in the U.S.